Get ready! Upcoming changes to So what? Now what? | So what? Now what? Get ready! Upcoming changes to So what? Now what? Not long ago, I posted some tips for getting better at dealing with change. I didn’t tell you there would be a test. Beginning in August, I am rolling out some changes to this blog. I jest, of course. Dealing with changes to my blog won’t require huge coping skills on your behalf. Still the part about making changes to this blog format is true. As I mentioned in my recent Summer Bucket List update, I have been working with a life coach. In the process, I came to the realization that a writing project I had started and then set aside until retirement is really begging to be completed now. It doesn’t want to wait for several more years. I also realized that the blog and the newly resurrected project are related—not like soul-sisters related, but at least third-cousins related—so I want to integrate them. I believe that will serve both of us well. So what is this project and what are the changes I’m making to the So what? Now what? blog? I’ll tackle those questions one at a time. What is this other project? My mother has a fascinating life story—and not just fascinating to her offspring. Allow me to introduce Joan Rodgers, a sheltered young woman coming of age in 1950s Utah, blissfully unaware of her own capabilities or the high cost of love. She is “engaged to be engaged” to Robby, an all-American boy serving in the Coast Guard. While she waits for him, she dreams of a house full of children protected by a white picket fence. 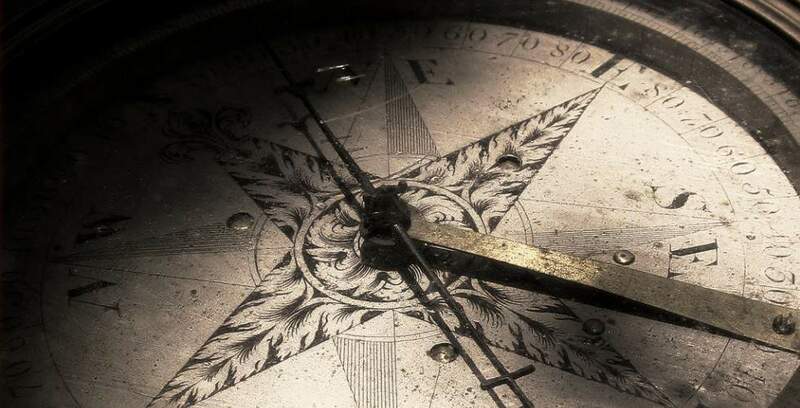 But she also longs for adventure and danger, which materializes in Conrad Nokes. Handsome, magnetic Connie turns Joan’s life inside out, drawing her out of her daydreams and into real life, where the struggle to survive is trumped only by love. Joan follows Connie to Fairbanks, Alaska to confront wild animals, gun-toting intruders, and her own naivety. Through hardship, she develops unexpected friendships with quirky frontier folk and learns about the ghosts of the Northern Lights and the goddess Devivic. Joan and Connie survive poverty, illness, and the harsh Fairbanks winter in a tiny trailer with no electricity or plumbing, existing on young love, nature’s resources, and the kindness of others. Just as the promise of spring touches the snowbound couple, tragedy strikes. Joan’s mettle is fully tested in the heartbreaking culmination of this story. For as long as I can remember, I’ve known that someday I would write my mother’s story. What I didn’t know was how difficult it would be. How does one encapsulate in words this woman’s incredible journey and her indomitable spirit? After years of interviews and research, including a memorable trip to Fairbanks, I was overwhelmed by the enormity of the task. I sensed I was stalling and that the only way to begin was to put pen to paper and start writing. I soon gave up the idea of a strict biography. The story that revealed itself to me was vivid and sensory, but with no clear lines separating reality from imagination. In the end, I released control and let the story come to me the way it wanted to, as a novel inspired by my mother’s life. The novel has been written, but longs for a final edit and decisions about publication. It deserves to be a real book. What does this mean for So what? Now what? I’ll be cutting back to one post a week, every Tuesday, eliminating the Friday Favorites post. Never fear; I love sharing the happy moments of my life and hearing about yours, not to mention the gratitude that sharing inspires. I could never abandon that entirely, so the second Tuesday of every month will be made up of Thank You Notes—much like Friday Favorites, but monthly. The fourth Tuesday of every month will be devoted to writing topics. I may request your input on my book, invite you to share your writing projects, post writing tips, discuss the merits of traditional vs. self-publishing—those kinds of things. The idea is still developing and is sure to evolve as we get started. I believe this new format will serve us both well, and I’d love to have your feedback along the way. How do you feel about the changes I’m proposing? Good or bad, I want to hear it all. Do you have a project simmering on the back burner? What is it? And what are you waiting for? Do you have a writing project or writing tips that you would like to share in a future guest post? This post shared on GRAND Social. It sounds great to me. I like the idea of combining several different post focuses into a single post a week. I’m also sold on your novel! The story behind the story is fascinating. Good for you, Christie, for following your dream. We are all cheering for you out here in blogland! Thank you Janis. It makes such a huge difference knowing people are pulling for you. When it comes to personal blogging I’m all about whatever works for you, works for me. I have family stories to process, too. I’m thinking of starting a second, maybe private blog, wherein I’ll put the stories– and see if anyone cares. I dunno if I’ll make this happen, but at least I’m clear about what I could do. That’s progress, right? Everything starts with considering the possibilities and developing a vision, Ally. I’ll be interested to see if you take it to the next step. Thanks for the encouragement on my blogging changes. It’s a little scary changing something that seems to be just getting a foothold, but it feels like the right time to do it. I used to be TERRIBLE with change. I would get stressed, cry, etc, etc but now, NOPE – I love change, I embrace it, I get excited for it!! Every day is different for me and has been for the last 7 years of my life, thus embracing change is 100000% necessary! I have been waiting years to read that book, so I’m so excited that you’re digging in more sooner rather than later!! Congratulations on making that decision! I know it’s going to be wonderful! Thank you Liz. I finished the first manuscript more than a year ago. I guess it’s time to polish it up and get it out there. I’m sure a part of the foot-dragging is fear of putting something so personal out there, but I’m ready! Oh congratulations, Christie on having the courage to make changes. I think it must be something in the air because as you know I’ve been looking for my ‘what next?’. I do hope you will still join us for #MLSTL but as I follow your blog I will be keeping up with your progress regardless. Thank you for inspiring us all to make changes, even when they seem daunting. Good luck! Thank you for the encouragement Sue. I will definitely be participating in #MLSTL. It feels like home. I still envision my blog as a lifestyle blog. Writing is part of my lifestyle. 🙂 You’ll let me know if anything I post doesn’t fit? I am eager to see your “what next.” You are an inspiration to me, so if I can return the favor, that makes me happy. Hi Christie, congratulations on finishing such a monumental project! Writing a full-length novel is no walk in the park. I know you still have final edits, but getting the draft down on paper is the hard part, IMHO. I love that you are telling your mom’s story (and what an exciting life she has led). I wish you success in the editing and publishing phases. Thank you for your kind words of encouragement, Dee. I’m excited and nervous about putting such a personal work out there, but I feel like it’s time. And your enthusiasm for what I’m doing gives me the boost I need. Thank you for always being such a strong supporter of me and other fellow bloggers. Be careful what you wish for! You might now be obligated to a Friday Favorites call. 🙂 Of course, you’d have to reciprocate with your own favorite things from the week. Good on you for getting clear about your priorities and managing your time to truly make them priorities. You are inspiring me, Christie. Lately, working on my blog feels a bit like swimming through molasses. Time to get clear about how I want my writing time to look, and then courage to make it so. Oh Karen, I know that feeling of slogging through the blogging. (That was not an intentional rhyme.) Or sometimes just feeling overwhelmed with the amount of time being invested without a clear picture of where it’s going. I must say that I truly enjoy your blog. The writing may be challenging right now, but the reading is always a pleasure. Good luck in all your endeavors. Enjoy the process! Slogging through blogging. What a great post title! If I ever write about how I’m feeling about blogging, will you mind if I use it? With full credit of course! Thank you so much for saying what you did about my blog. Those are exactly the words I needed to hear right now, as I work to get a few posts written and ready so that I have more time to stop, think, and feel my way into whatever is going to be the right thing for me moving forward. You’re so welcome Karen. Funny how the universe often brings us what we need in the moment. And, of course, you may use slogging through blogging! Hi Christie – I think you’re making the right changes. Your blog followers and blogging friends will continue to support you. Your family will appreciate your book on your mom’s story very much. Thank you for the encouragement, Natalie. That’s one of the things I love about my blogging friends. We’re always there cheering each other on. Good for you sis! I’ll still look forward to your blog and can’t wait to get your finished book! Thank you Cindy. I appreciate your loyalty and encouragement in all my crazy endeavors. You’re one of my biggest cheerleaders. Can’t wait for girls trip! Jennifer, the more I get to know you, the more I realize how much we have in common. Are you keeping up two blogs? I’d love to hear more about that. 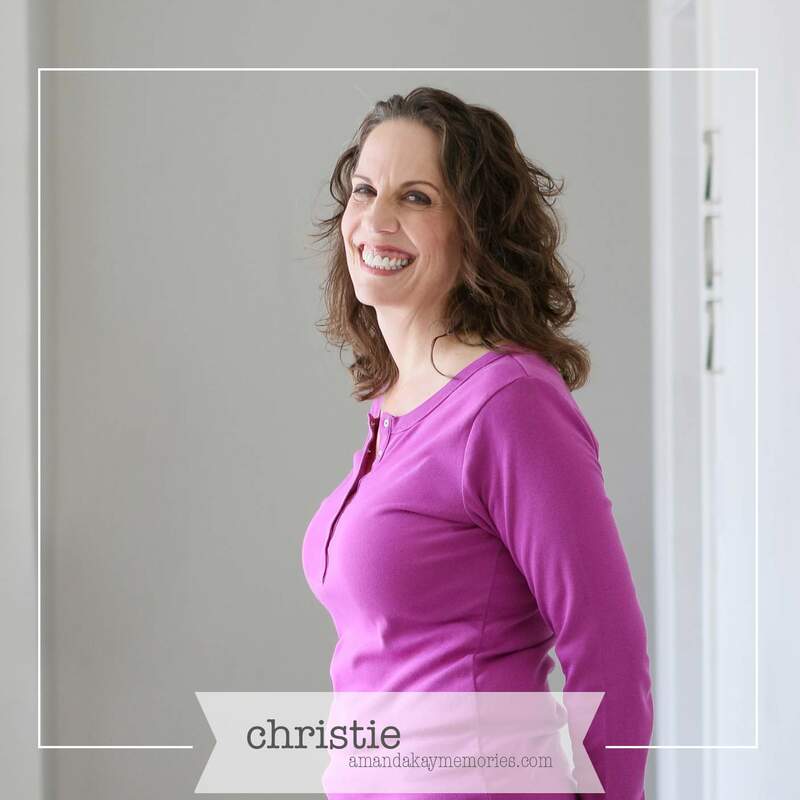 I feel a lot of us have been re-evalutating our blogs over the last few months Christie. I know that Sue and I often discuss the what/why/when/how? of posting. I think finding your sweet spot is the secret and if you are enjoying the process then your readers will enjoy it too. It sounds like your Tues posts will still be a perfect fit for #MLSTL so I hope you’ll keep linking up with us. Keeping it manageable is definitely the secret and I’m really excited for you as you tackle finishing your novel and the publishing process that will lie ahead – you go girl! Ah yes, Leanne, there must be something in the air! The re-evaluation is a good thing though. It keeps us authentic and true to ourselves and keeps our blogs fresh. Thank you for the encouragement. It means a lot. And I will definitely be linking up with #MLSTL. As I said earlier to Sue, it feels like family. I always find posts that speak to me, and I receive some of my most meaningful comments from #MLSTL participants. Thanks for hosting and for sharing. Christie I have never considered change a friend but your changes sound very exciting. Your mothers’ story sounds so exciting I can’t wait to read your book. 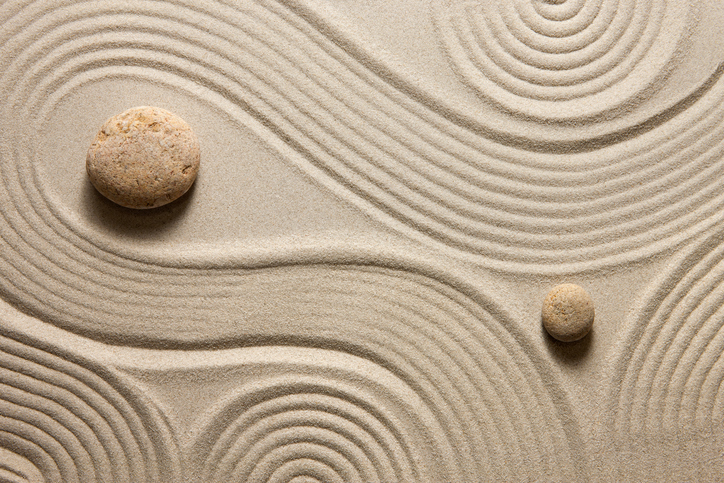 Change can be challenging and exciting–often both at the same time. Thank you for the encouragement on the book. Your mother’s story is fascinating and I think that project deserves your attention. The blogging world is not going to die. You should take the time for the book- that is true and lasting! Thanks for the advice Michele. I respect your opinion. I look forward to sharing my mother’s story with the world. I love stories about the indomitable spirit of women, and your mother’s story sounds exactly that. For that reason alone, it needs to be told for all women’s sake. The fact that you are capturing a fabulous piece of family history for future generations of your mother’s family is bonus. All your other decisions are yours alone to make and I’m excited for you for your next moves!! Thank you Agnes. I am excited to share my mother’s story with the women of the world. I appreciate the encouragement. Christie, As a once per week blogger who is always amazed when folks do more… you know I’ll still be there reading what you’re up to! I also have a manuscript drafted – mine is non-fiction. And it needs some solid editing as well…and then looking into (self) publication. I’ve also stalled…even though I put it on my summer bucket list to work on. I’ll be following your editing and publication thinking process for sure. One more thing we have in common, Pat. I look forward to supporting each other through this process and sharing lessons learned. I’d love to have you write a guest post at some point. Give it some thought, and I’ll be in touch. Thank you Molly. All of this support makes my heart sing! This kind of change is always the best kind I think Christie. It sounds really exciting and it’s wonderful that you’ve decided to pursue the completion of such a precious project. I look forward to seeing how your blog shifts as you shift! Thank you for the encouragement Sue. I am excited and nervous! Christie, I think that was such a smart decision to go with the novel based on your mother’s story rather than a straight biography! And cutting back to one blog post per week — well, obviously, I think that’s a great idea, since I’ve only ever posted once a week since February 2010. At the very beginning I knew I couldn’t consistently post more frequently than that. All the “experts” were recommending a minimum of three times a week, but I thought, Who can do that?! And, Why? I knew I didn’t have time to visit anyone’s blog more than once a week, so why post more often myself? Sound reasoning, Jean. Two was manageable for me for awhile, especially since Friday Favorites has been more about sharing photos from the week than intense writing. I can’t imagine three posts a week. Christie, that is so exciting, it sounds like a natural progression. Your book will be fascinating, from what I have read from author friends, there is still a big road ahead to publishing. Sometimes stressful but what a joy to see your project flying off the shelves. Out of the blue, I just wrote a short 5500-word story and my husband loved it and wants me to keep writing. I am not sure where that will go 🙂 Therefore I would be most interested in your posts on writing. One of next weeks features is on writing tips, it made me realize how exciting writing is. Go Christie we are with you. Thanks Kathleen. I know there will be challenges ahead, but I’m hoping also excitement and energy. 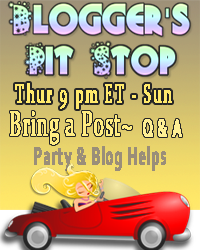 I’m on vacation this week, so I won’t be linking up on Blogger’s Pit Stop, but I will be back next week, and I’m definitely going to check out the writing feature. Way to work on realizing your dreams and goals. I am working on a little story, too. You are right, that once you write blog posts, and for me, writing is part of a new morning routine I am trying, there isn’t a lot of time and energy left for writing anything else. Your blurb above has piqued my interest for knowing how your mother’s story continues. Will look forward to reading more! Thanks Leslie. I hope I have a chance to read your story at some point. I love writing, but it’s a lot of work too isn’t it? I guess that’s what makes it rewarding. Thanks for the encouragement, Sylvia. Change is hard, but it’s also exciting. Glad to hear you’re checking off your bucket list items. Carry on!